– Short and technical. This is typical of many prologue time trials. They tend to be quite short (under 12km), and wind through city streets. 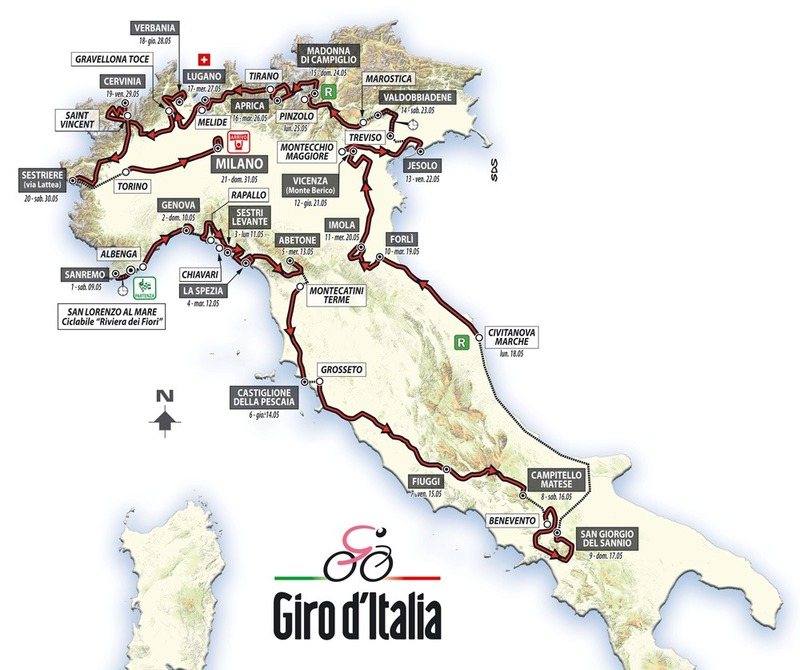 The Giro’s first stage is a prime example of such a TT. These types of races tend to favour athletes with big power, which can accelerate back up to speed out of all of the corners. – Long and debilitating. Stage 5 of the 2012 Tour of California is a prime example of such a race – 30km, pan flat, out and back. These are a master class in suffering – it tests the athletes’ ability hold the power down while maintaining as aero a position as possible. – Uphill. Don’t worry, the Giro has one of these on tap as well in stage 15. These kinds of TT’s have to be evaluated to see if they are so steep that aerodynamic concessions should be made to reduce rider-bike weight. When they are, you’ll often see riders race these on regular road bikes due to the weight advantage and better climbing position than on a full-aero TT rig. Such time trials become a game of raw power-to-weight ratio, and the willingness to push yourself. Very aero – the more aero you are, the faster you will go down the less technical parts of the descents. Wide gear ratio – you’ll want a really big, big gear so that you can keep the power down, even though you’re descending. You’ll also need a gear easy enough that you can hit the climbs at your ideal cadence. Ability to recover – the course has 3 or 4 climbs on it. 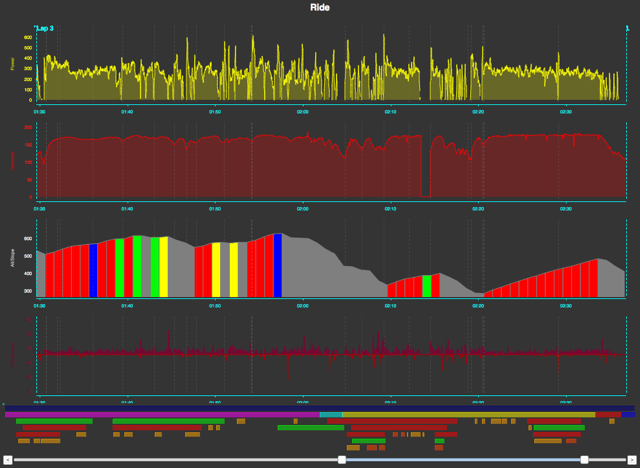 You need to be able go fast on the descents, but also recover enough that you can hit the climbs HARD. Homework – the winner will have done their homework. This is not a TT you can ride blind – there are many very high-speed corners that you can’t see around. If you know what to expect, you can keep rolling through some of them. If you don’t know what to expect and don’t have a death wish, then you’ll have to hit the brakes through these. Take risks – there’s a lot time that can be made on this course if you’re bold given its high-speed, twisting nature. The speed makes it risky though. To do well, the rider has to be comfortable on their TT rig, and 4), have done their homework. 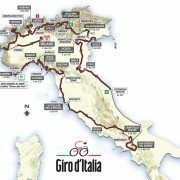 GiroDItalia from 4iiii Innovations on Vimeo. I decided to have a go myself, so I parked at the finish, and thought the ride to the start would be a good warm-up. 30km and almost 1000m of climbing later (!!! ), I arrived at the start line in Radda in Chianti, a good deal more tired than I had anticipated (there’s very little easy riding in Tuscany I found). As I rode, I could feel that the trip to the start was holding my legs back from hitting their full potential, but it is what it is. As with stage 1, I rode Merckx style: A TT bike would have been nice, but the last thing I want is to be transporting 2 bikes with me when I travel! Despite the approximately 2 minutes of lost time, and sub-optimal equipment, I was shocked to find that I’d managed 9th on the segment. I have a feeling that might not stand up on Sunday though. Today I was able to ride part of the Giro d’Italia Stage 1 Time Trial. They pulled me off course a couple of km before the end as they were still setting some things up. My ride was nothing spectacular. If I pro-rate my pace to go the entire distance, I would have finished in 15:15, which is approximately 2 minutes slower than the slowest pro, and approximately 4 minutes slower than the fastest one. In my defence, I was riding this in what they call Eddy Merckx-style – on a regular road bike with normal wheels and helmet, where the pros would all ride this on a dedicated TT rig with a disc wheel, skin suit and aero helmet. I’ll bet that if I had the equipment here, I could probably come close to the bottom of the pack. 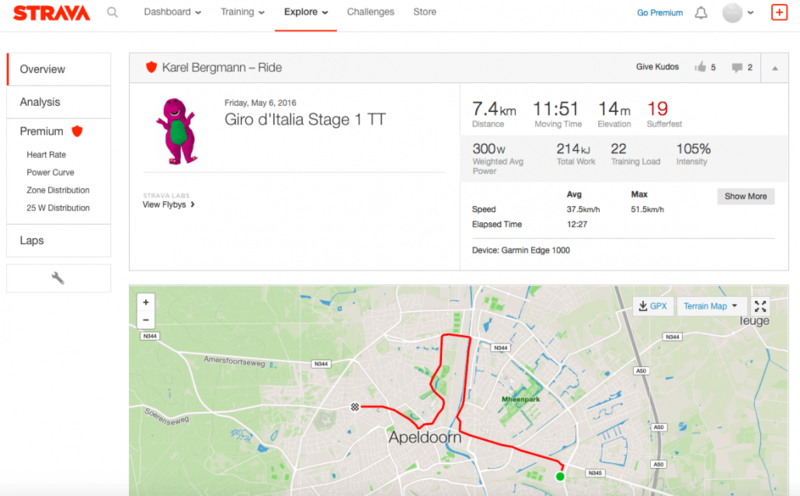 It was a pretty surreal experience – I had to do a double-take half way through where I realized “Holy crap, I’m riding the Giro d’Italia Time Trial!!!!”. I will see if I can do the same for the other two time trials for a bit of continuity. 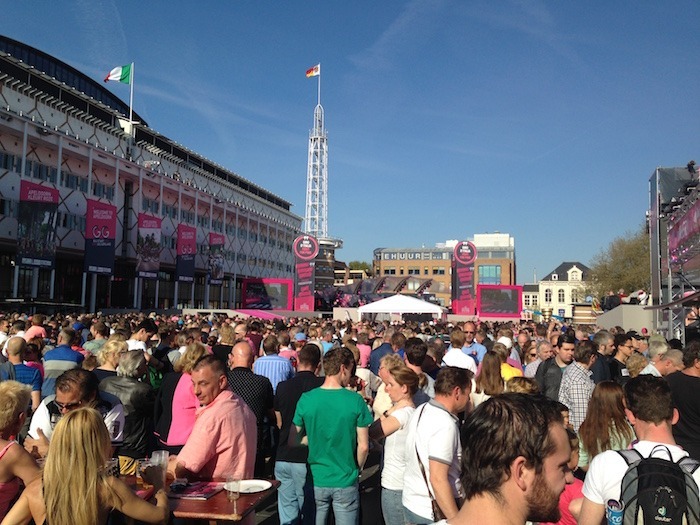 Greetings from Apeldoorn (host town for the first three stages of the Giro). 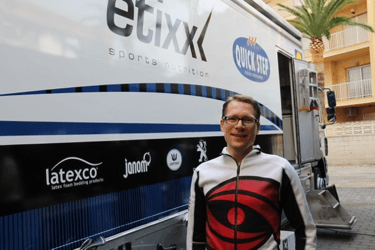 I spent today checking and configuring all of the power meters that will be used in the Giro d’Italia by the 4iiii sponsored Team Etixx – Quick-Step. Their #1 bikes (race bike and TT bike) are equipped with dual-sided PRECISION power meter pro units. I’m personally very interested to see how things progress as we’ll have nearly 21 consecutive days of racing on tap, with the same riders and the same hardware though probably the most demanding of the Grand Tours. The picture above shows the amount of hardware required to support 9 riders through a Grand Tour. 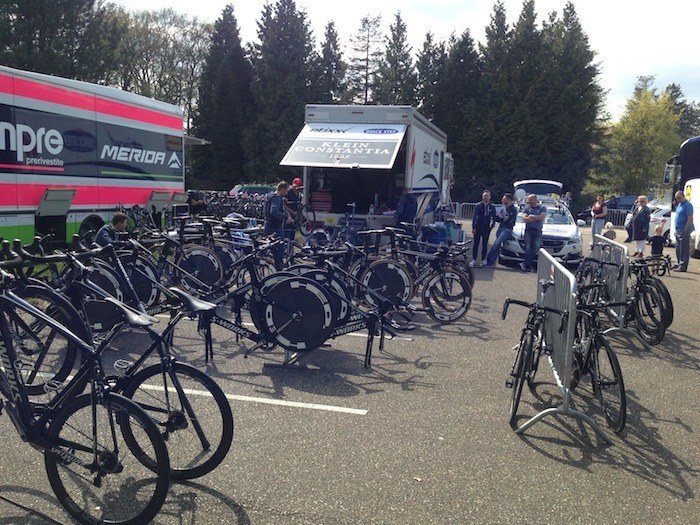 Each rider has a TT bike, a spare TT bike, a race bike, and at least one spare race bike. Tomorrow, I’ll head to the start of the TT course. I’m hoping to do a hot lap on the course and give you an idea of how fast a mere mortal goes and compare to the pros. Karel is a 4iiii product manager who’s been currently mandated with one task: to ensure Team Etixx – Quick-Step gains the greatest value from riding with PRECISION power meters. When our PhD Computer Scientist is not on the road supporting the world’s most decorated cycling team, he’s a Cat 2 rider in his home of Calgary, Alberta. Karel will periodically share his Tour adventures. 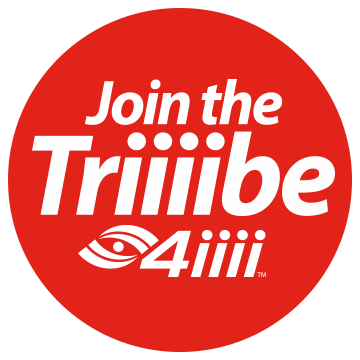 You can read more of his stories at 4iiii.com and send him questions at info@4iiii.com.